Found one file extension association related to DiffDog and 1 file format developed specifically for use with DiffDog. Altova DiffDog is the unique diff / merge utility for files, directories, and database schemas and tables. 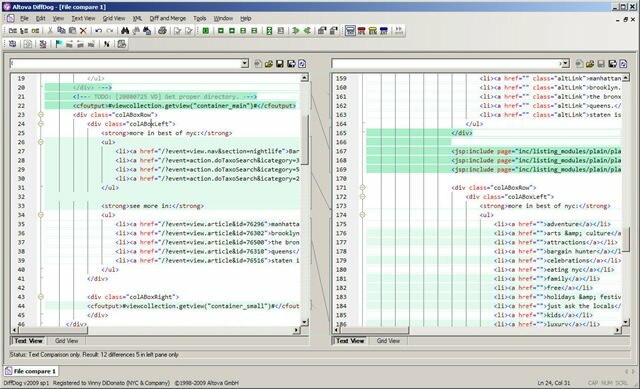 This powerful, easy-to-use diff merge tool lets you quickly compare and merge text or source code files, synchronize directories, and compare database schemas and tables via its straightforward visual interface. DiffDog also provides advanced XML-aware differencing and editing capabilities. If you need more information please contact the developers of DiffDog (Altova), or check out their product website.